Chhetri: Players should have the right to choose teams. Over 199 players will see themselves in a bidding war on Sunday morning when Indian Super League (ISL) 2017-18 season’s draft will take place at The St. Regis Hotel, Mumbai…. 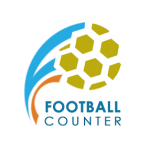 According to Goal.com, in the recently conducted Executive Committee meeting on Thursday in Mumbai, it was revealed that Indian Super League (ISL) will get a recognition from AFC and FIFA….